Here are some of Pope Francis’ thoughts from the homily at this morning’s canonization Mass. This is my transcription, so don’t quote me – I tried to type fast enough to keep up with Pope Francis, but at 4am I’m not quite up to speed. They were priests, bishops and popes of the twentieth century. They lived through the tragic events of that century but were not overwhelmed by them. Faith in Jesus the Redeemer of Man and Lord of History was more powerful. The love of God shown by those five wounds was more powerful. And more powerful, too, was the love of Mary, our mother. In these two men, who looked upon the wounds of Christ, there dwelt an indescribable joy… May these two new saints and shepherds of God’s people intercede for the Church. May both of them teach us not to be scandalized by the wounds of Christ, and to enter more deeply into the mysteries of Divine Mercy, which always hopes and always forgives, because it always loves. 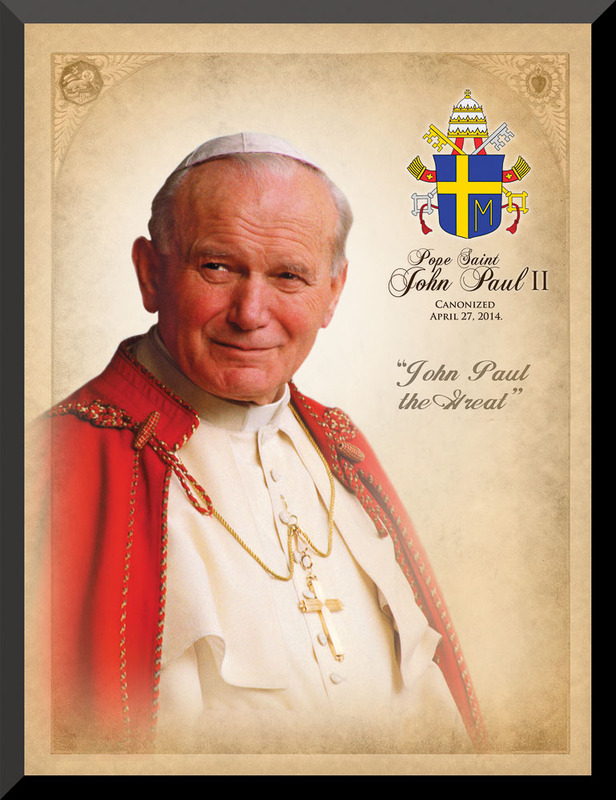 Here are the official prayers to St. John Paull II and St. John XXIII. PS If you like these images, you can order them here. Saint John XXIII and Saint John Paul II, pray for us! This entry was posted in Pope, Prayer, Saints & Angels, The Church, Uncategorized by texasnuns. Bookmark the permalink.